Clean out your dresser drawer and make room for new socks! 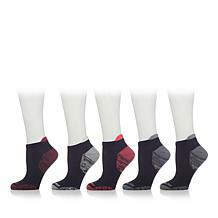 Not your typical white socks, the Copper Fit collection features game changers that will make you look at footwear in a whole new light. 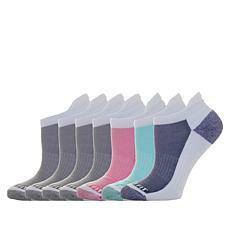 Not only will you be replacing ratty, mismatched pairs, you'll improve your life from the ground up. 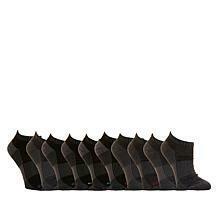 Copper-infused stretch knit keeps your feet dry and fresh. 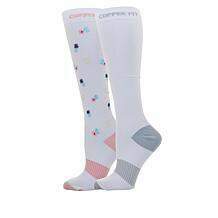 Copper's natural properties help repel odor-causing bacteria while a ventilated design and moisture-wicking technology keep your feet dry. Each millimeter of these white socks is about comfort. 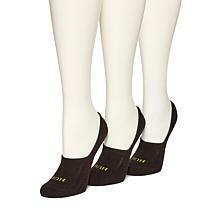 Plush padding reinforces the heels, foot beds, and toes. 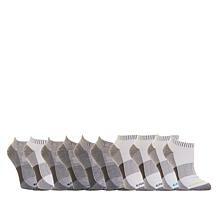 Plus, these socks won't slip around inside your shoe. 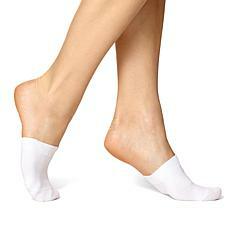 Don't be afraid to wash your white socks: the copper ions are securely woven into the fabric and will not wash out. 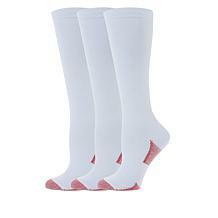 If you like a gentle foot massage, try knee-high compression socks. 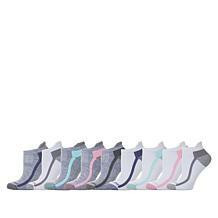 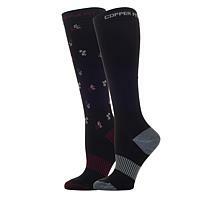 Perfect for days on your feet and long flights or drives, these socks can prevent muscle stiffness and pain. 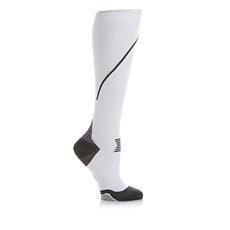 A compression band improves circulation, prevents fatigue, and keeps your muscles warm. 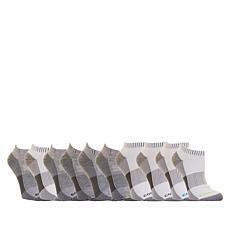 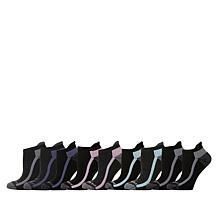 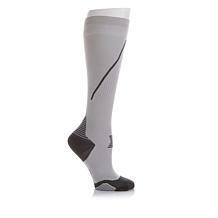 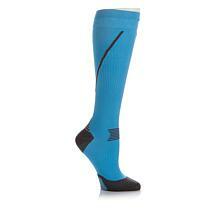 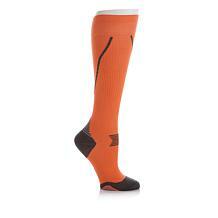 Compression socks will complement your existing shoe inserts and accessories. When you don't want to wear tights or hosiery, try silicon-trimmed foot liners and toe toppers instead. 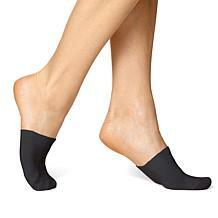 Reward your feet today!